Trade shows and conventions present an excellent opportunity for advertisers to reach a concentrated audience. This is particularly true when that audience – like medical professionals for example – are naturally spread out across the entire country, making it difficult and costly to reach them all in their local markets. 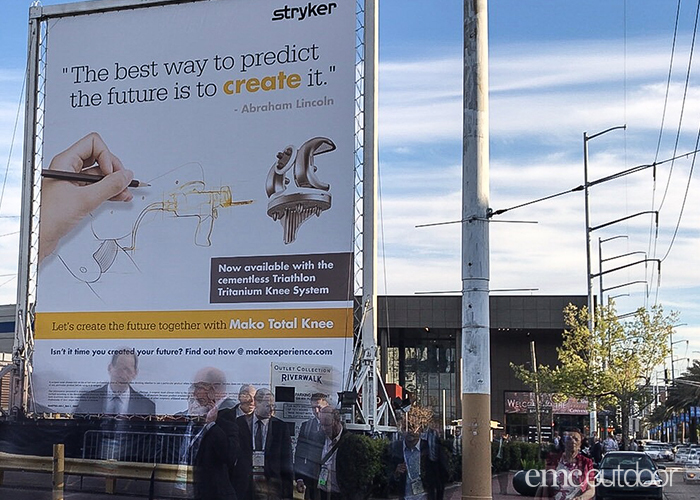 This was true for our client, Stryker, who wanted to make sure every attendee at the annual meeting of the American Academy of Orthopaedic Surgeons (AAOS) knew they were there, and reach them at multiple touchpoints throughout their stay. The AAOS tradeshow took place in March in New Orleans. The focal point of the campaign was an almost 50-foot high stunning mobile wallscape that greeted attendees as they walked to the convention center. Located directly across from the convention center, and along a path directly between the center and many key hotels this location was highly visible to almost all attendees. 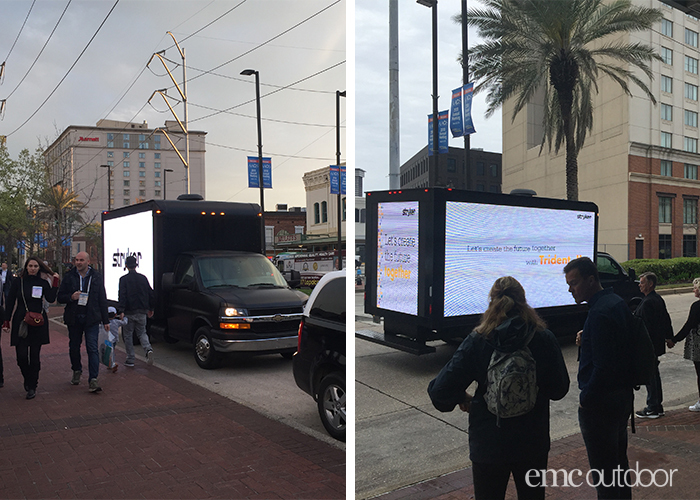 The digital mobile billboard, equipped with two large video screens, drove a continuous loop around the front of the convention center and the key attendee hotels in close proximity. 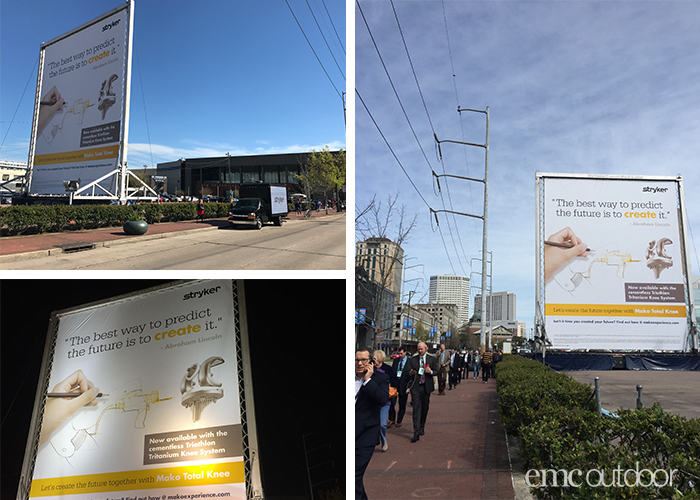 With the continuous loop, many of the attendees were exposed to the mobile billboard as they worked and explored the areas around the convention center. 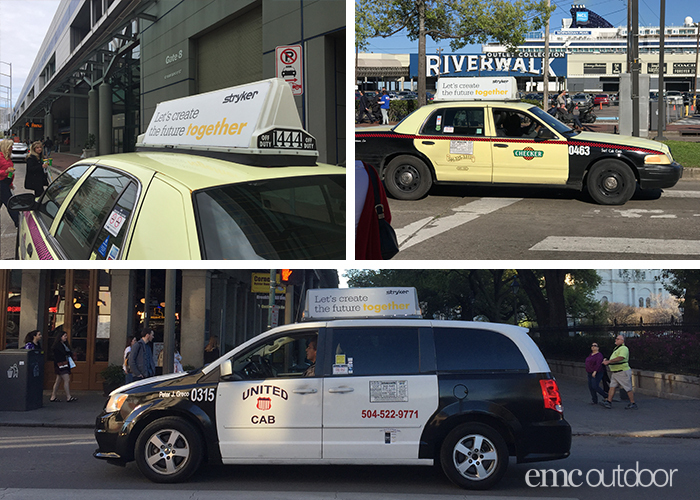 Taxi tops provided city-wide coverage that would reach attendees at key locations – like the convention center, hotels, and airport – and also at popular tourist attractions around the city. 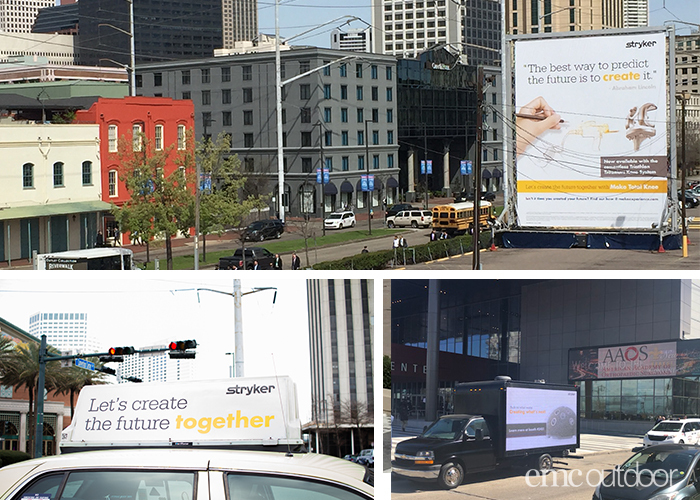 The Stryker brand messaging reached attendees at multiple touch-points throughout the city, and during the length of their stay in New Orleans. The use of out of home media extended their trade show marketing well beyond the floor of the convention center, to help drive attendees to their booth, and raise awareness during the show. Events like the AAOS are critical opportunities for advertisers to reach their audience when they are concentrated in one location for a short period of time. Given that, it’s important to maximize the potential of the event by using any available media to help drive attendees to your booth. April 19, 2018 | Filed under Daily Updates.